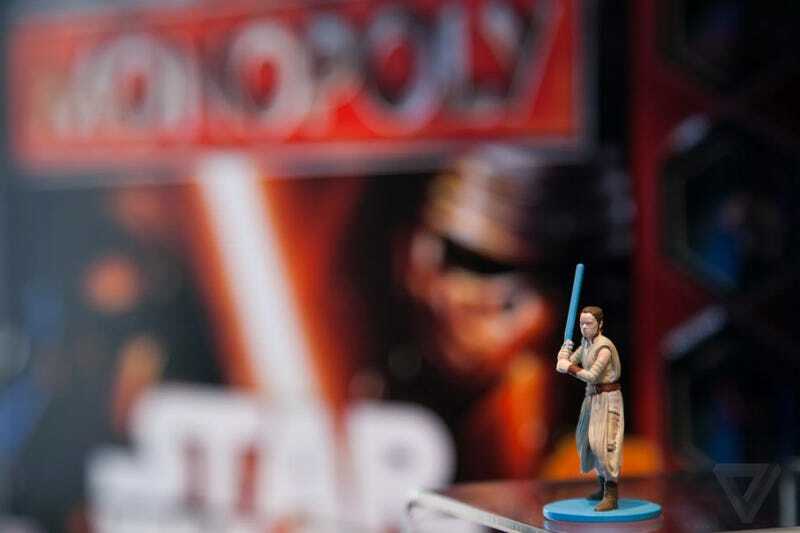 Remember the outcry over the lack of a Rey token in Hasbro’s The Force Awakens edition of Monopoly last year? Well, there’s bad news—the new, Rey-inclusive set is not available in US toy stores. But the reason appears to because no one wants The Force Awakens Monopoly at all. This story started back in January 2016 when a young girl tweeted about her disappointment that Rey was not in the game. Rightfully, the tweet went viral and there was an outcry over the abundance of new Star Wars toy sets that didn’t include the main character of the new movie in general, with the Monopoly set as a prime example. A lot of Star Wars merchandise seems to have improved in this regard since the furor, but if and when Hasbro releases Monopoly for The Last Jedi, there had damn well better be a Rey in there. Maybe they should even put in two.